This excellent and concise summary of the social and economic history of Europe in the Middle Ages examines the changing patterns and developments in agriculture, commerce, trade, industry and transport that took place during the millennium between the fall of the Roman Empire and the discovery of the New World. 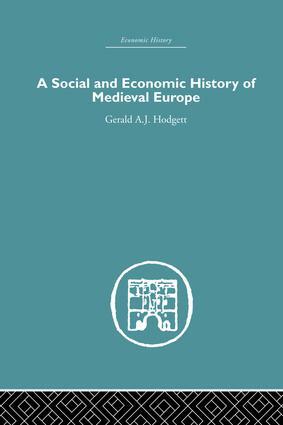 After outlining the trends in demography, prices, rent, and wages and in the patterns of settlement and cultivation, the author also summarizes the basic research done in the last twenty-five years in many aspects of the social and economic history of medieval Europe, citing French, German and Italian works as well as English. Significantly, this study surveys the present state of discussion on a number of on unresolved issues and controversies, and in some areas suggests common sense answers. Some of the problems of economic growth, or the lack of it, are looked at in the light of current theories in sociology and economic thought. This classic text, first published in 1972, makes a useful and interesting general introduction for students of medieval and economic history. 16. Decline and change: rebirth and new horizons.